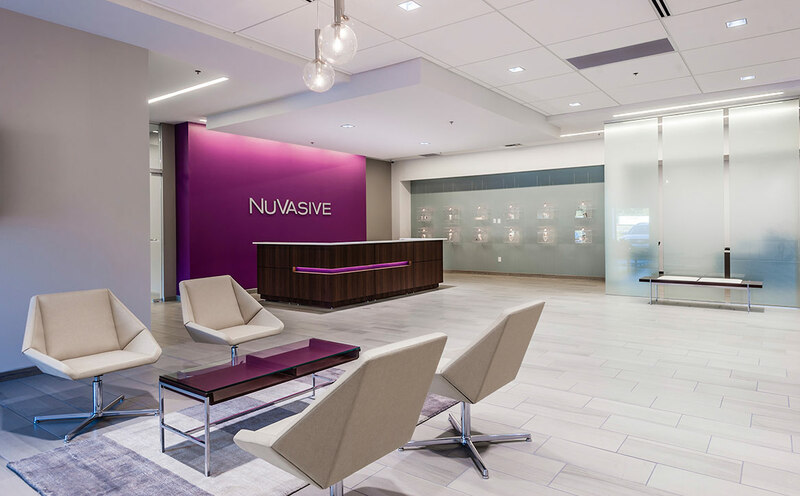 NuVasive, Inc. is a leading medical device company focused on transforming spine surgery with minimally disruptive, procedurally-integrated solutions. 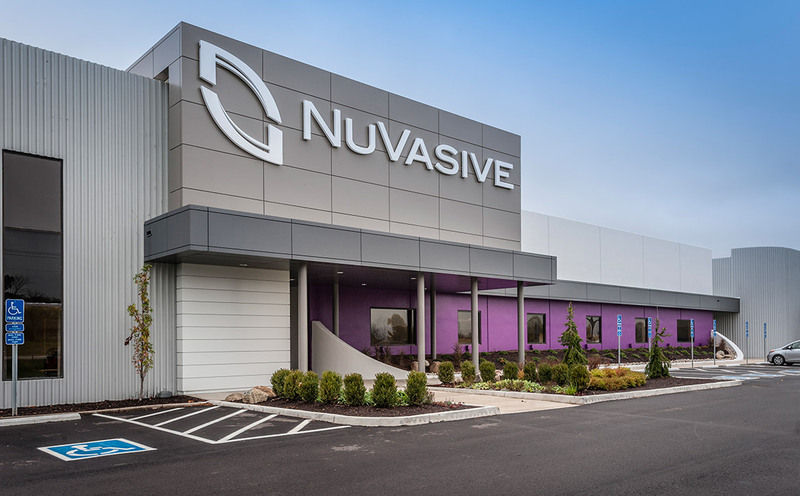 The company selected a site in West Carrollton, Ohio as the location for the build-out of a new medical device facility dedicated to spinal implant and instrument manufacturing. 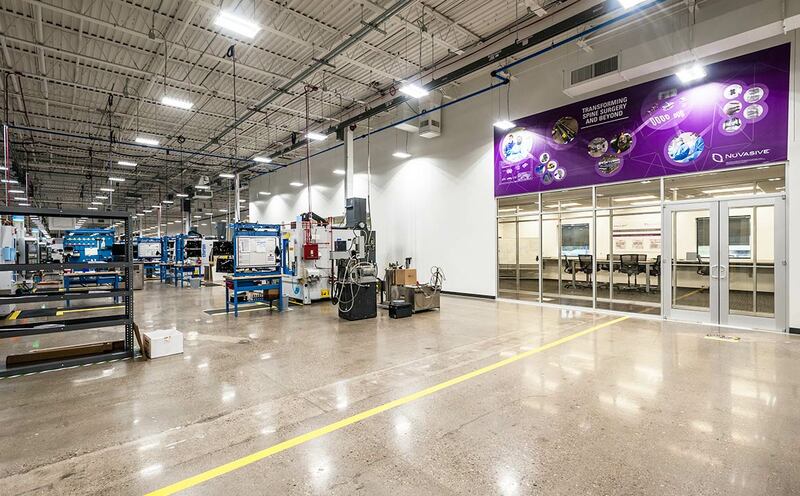 This new facility supports the company’s efforts to increase its internal manufacturing capabilities alongside its existing manufacturing facility in Dayton, Ohio, and enhance its focus on operational excellence. 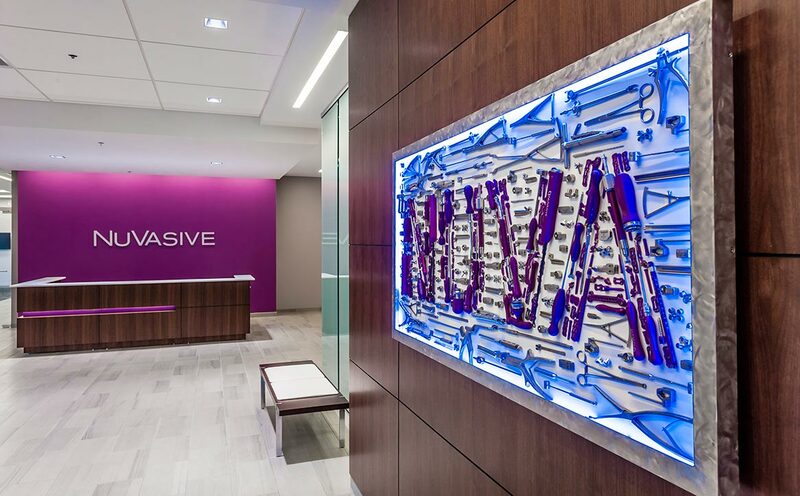 The first phase of the project included programming, design and construction of 35,000 square feet of office and support areas within a 180,000-square-foot existing building plus preliminary programming for the first manufacturing value stream, which will be further developed in later project phases. 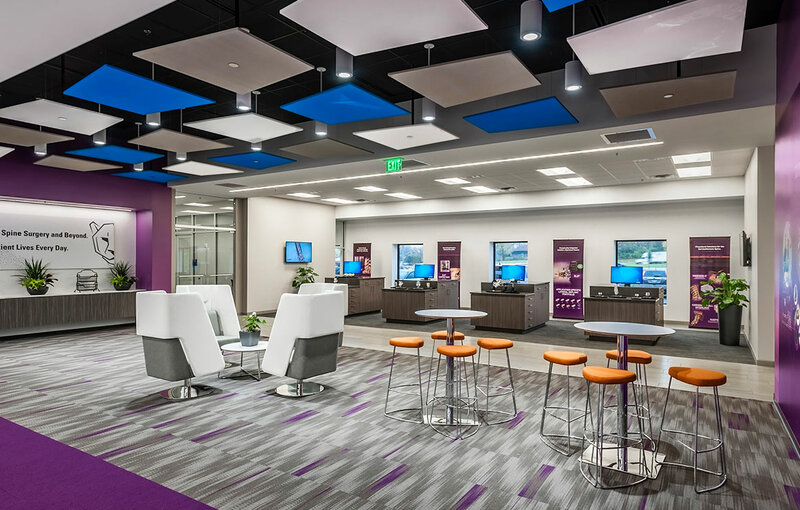 This also included an enhanced building entry/lobby for guests and employees. 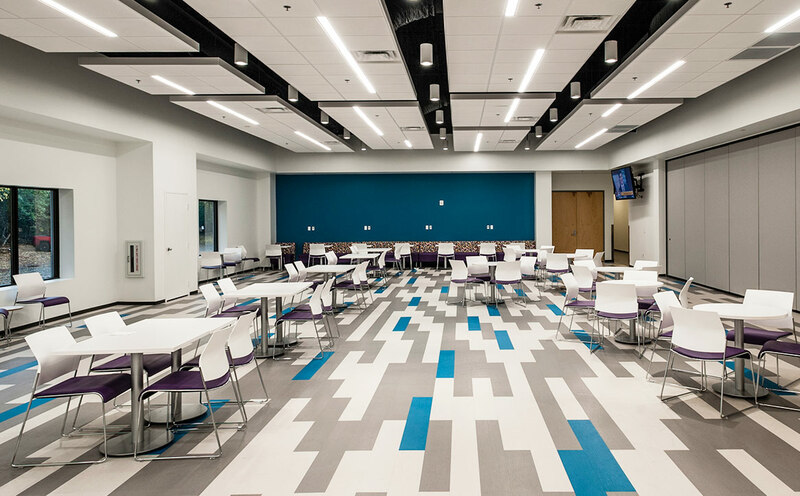 The second phase expanded upon the project with schematic design through construction administration services for 20,000 square feet of interior work. 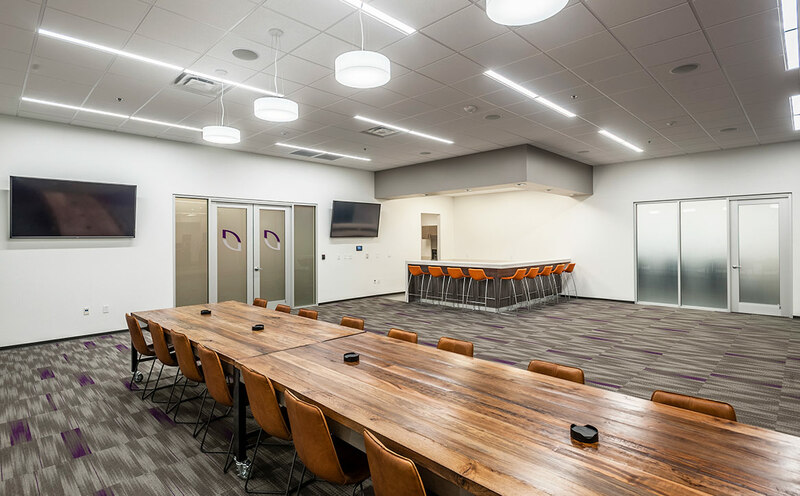 The space comprises manufacturing space, a cafe/dining area, large training rooms, fitness rooms, and a social bar/event space. FPBA also provided exterior improvements including the addition of a new entrance canopy to match the scale of the 1,000-foot-long elevation facing Interstate 75. FPBA is continuing work in Ohio with a new ISO 8 cleanroom. Please see more of our Life Science Manufacturing projects.